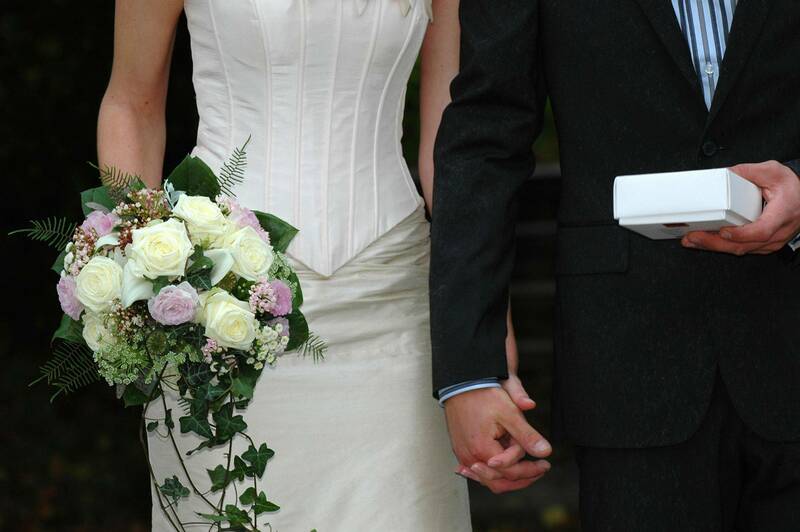 "I appreciate the extra attention given to making my dress just the way I'd hoped for! It came out just beautiful and fits just right! "I just wanted to say “Thank You!” Maria I went to pic up my Dress today and it’s perfect was well worth the work. I am looking forward to a very long relationship with Elegant Tailor and design. "Amazing!!! Maria took my wedding dress and in a week and a half they came up with creative ways to alter it to look PERFECT on me!!! I am beyond happy with their work. Thank you so much." "My first experience with Maria was as a bridesmaid a couple of years ago. She made me feel beautiful. I decided to begin coming to her more frequently as she seemed to know exactly how to make my clothes fit to my body, as I had lost a lot of weight, even when I wasn't sure what would be best for a specific garment. Also, being 4'11", it's not easy to get clothes that were the right length either. Both weight loss AND being short - not easy unless you're a tailor :-) No worries though. Any dress, pair of pants, straps, she would tend to every need. So, naturally, when I was introduced to my now fiancé, I knew who to trust to hem the dress I would wear when I met him in person - a golden, long satin dress......Andddd then he proposed! The most significant dress of my life - the long, white gown, was destined for her hands. I truly mean that. She was honored to personalize the dress. She hemmed it, took it in, accentuated my hips, and even made the straps thinner for me (being shorter, thinner straps accentuate my petite body more than the previous thickened strips. Having an open back, making the straps shorter and thinner made the back straps flop open a bit. Not to worry. Part of the process. She handled it. Then, my petite frame was accentuated perfectly, hips, shoulders, back, perfect. Even the bustle was absolutely stunning and done with so much care - she sat with my sister on TWO occasions to make sure she knew exactly how to do it for my big day. With a couple more things to perfect, especially with my anticipated additional weight loss, I went home for her to work her magic. Except I didn't lose weight. I gained - wedding stress IS a thing (side note, CAKE IS NOT THE ANSWER!) I got there, and she tried to zip. It wouldn't even close!!! As you can imagine, I was devastated. What an absolute nightmare!!! I asked her if I should start looking for another dress. "No way! This dress is beautiful!!!" She couldn't believe I even thought of that. Once again, and for the final time, she worked her magic, having me slightly nervous as she cut the lace and inner fabric of the dress to hug my new body. I tried it on, and it zipped. I left that day, to return one last time.Today, I tried it on, and I felt like a queen. The dress embraced my curves with beauty. I'm ready to walk down the aisle!!! She is a miracle worker. Need a miracle? Need to feel beautiful? Just want the job done right, no matter what?